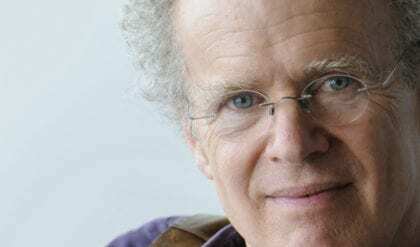 Erik Olin Wright, a long-term advocate of Universal Basic Income and one of the most influential sociologists today, recently announced that his doctors have advised him that he has only a few weeks left to live. (Update: he passed away on January 23.) He is best know for his work on social stratification, egalitarian alternative futures to capitalism, deep democracy, and interstitial revolution. But he has also had an important influence over the Basic Income movement. He was the first to describe basic income as “a permanent strike fund for all.” He wrote about it and provided platforms, such as the Real Utopias project that allowed other people to write about it when few people thought it had any chance. I have roughly three weeks left of existence. Three weeks. Let’s call that January, 2019. January 2019: my month, my last month. There can be surprises — both ways of course. My liver is the main source of leukemia’s havoc. It is greatly enlarged now, filled with AML. This is why I need transfusions of platelets and red blood cells every day. The graft did not survive the return of AML so it produces no products, and the AML-clogged liver seems to be filtering out some of the transfusions so I am not getting full benefit from those. The result is that my platelets remain extremely low even after a platelet transfusion and my hemoglobin remains very low even after a hemoglobin transfusion. So, eventually these become too low to sustain life, or an opportunistic infection does me in. The doctors say “a few weeks” — a nice surprise would be to slide into February; my birthday is February 9. We’ll see what happens. This is all hard to take in fully. I am not in great turmoil over dying. I am sad about many things, desperately sad about those connected to my family. But I’m not afraid. I wrote about this early on; my feelings haven’t changed: I am stardust that randomly ended up in this marvelous corner of the milky way where some stardust ended up in conditions where it became complexly organized in a way we term “alive.” And then even more complexly— conscious stardust that is fully aware that it is conscious: amazing — stardust, inanimate products of exploding supernova, organized in such a complex way that it is conscious of its own aliveness and consciousness — the greatest privilege in the whole, immense universe. It may be for a limited time — this complex organization ends and the stardust that is me will dissipate back to the more ordinary state of matter. Nothing to do about that. As creative fanciful minds, we humans are good at inventing ways for our existence as conscious beings to continue after the stardust dissipates. It would be nice. I don’t believe in that sort of thing, but I’ll find out by some time in February. “Two redistributive proposals: universal basic income and stakeholder grants,” 2006. Focus, 24 (2), 5-7. I am one of the many people who have been influenced by his work, and his talents affected me personally. He was the editor of my first published academic article, “A Reciprocity Argument for the Guaranteed Income,” in 1999 (before the name Basic Income became standard). His ability to see my intuitive leaps and to explain how to fill them in was amazing. That kind of ability ability takes not only strong intellect, but strong empathy. A combination that even many great academics lack. It’s the mark of an exceptional person. On a personal note, I can remember the moment when it dawned on me how important and potentially system transforming a basic income could be–while reading Erik’s edited collection, The Debate on Classes. He was a keynote speaker at a couple of NABIG congresses. I remember vividly how he stayed and participated in discussions throughout the congress, a truly collaborative intellectual, without a trace of ego, despite his remarkable body of work and wide influence. A real solution to the problem of inequality is The Second Income Plan, suggested by the late Louis Kelso, inventor of the Employee Stock Ownership Plan – ESOP – used by 11,000 companies. It does not depend upon jobs or savings. Universal Basic Incomes can be a transition device. Note: There is no net cost to the Treasury. Kelso saw automation coming. He believed it could liberate humans from toil, work we do not choose to do. He thought that by age 50, almost everyone could receive about 50% of their income from diversified investments. Imagine the implications! This is the key to reversing the dangerous growth of inequality and loss of purchasing power. Taxing wealth makes sense as well, as does the Estate Tax. If we intend to dramatically reduce inequality, citizens of the USA will convince Congress to pass the necessary legislation to establish a SECOND INCOME ACT. It can help unite our divided nation. I never got to know Erik well on a personal level, but I was struck by the lucidity of his intellect, as demonstrated in his many works and recently at the 30th anniversary of the founding of BIEN, at Louvain le Neuve in October 2016. Erik gave a short, succinct and brilliant overview of the alternative ways a basic income could facilitate different social transitions through capitalism. Intellects like Erik’s are rare. He did not tell us how to think, but he gave us tools to order our thinking. He was truly inspirational.